The panel was very active and informative. 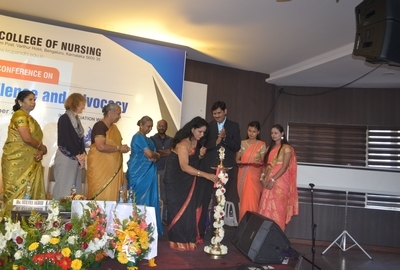 After that the formal inauguration of conference with felicitation of Mr. Somashekkarayya Kalmath, First senate member from nursing department , was conducted . The Chief Guest was Prof. Srikanth Phulari, KNC Registrar and he addressed the gathering. Dr. Sanjay M Peerapur, Principal, KLES Institute of Nursing Hubli, explained about senate election and their journey till victory was revealed. He also introduced Mr. Somashekkarayya Kalmath. 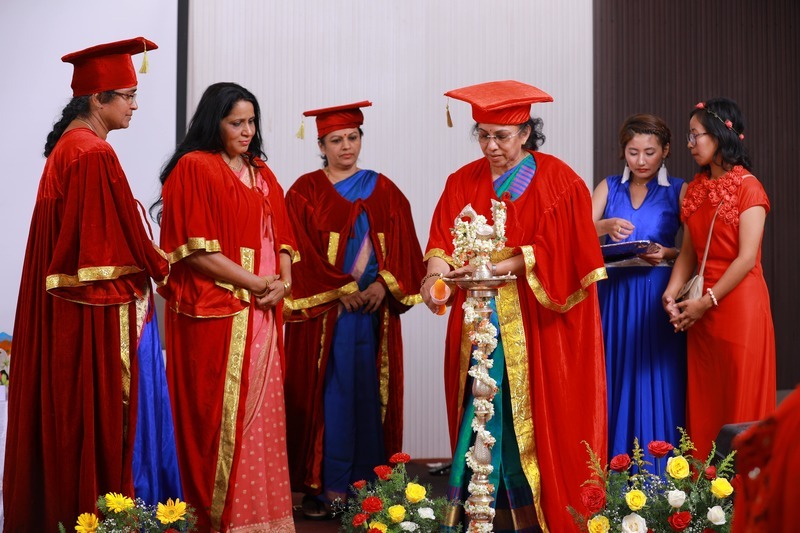 Dr. G Kasthuri, Former Principal , Government College of Nursing felicitated him and followed by Mrs. Geetha Nagpal, Vice Chairperson given the presidential address. The inauguration session winded with vote of thanks & college anthem the gathering was dispersed for a short coffee break. 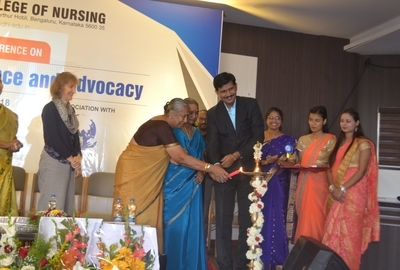 The next session was about Nursing empowerment, challenges & its strategies to overcome by Mr. Santosh Mahindrakar Founder Member, IAPH (Innovative Alliance for Public Health) It was a wonderful session with lot of group participation. The third session was transcultural ethics & health care professionalism by the guest speaker all the way from Germany Prof. Sylvia Agbih. She gave a lot of examples about cultural background & ethical influence. 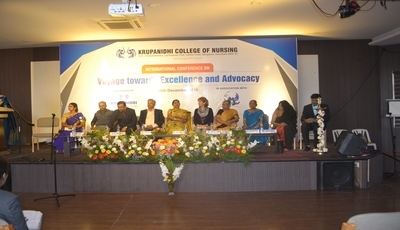 The lunch break was from 2.30 pm to 3.30pm followed by the last panel discussion on the “ Leadership in Nursing”. The session was very active and they discussed their experience too. The valedictory started at 4.30 pm and a token of appreciation was given to all the resource people. The best oral and poster presenter were awarded the certificate of merit. KNC observer gave a note on the day proceedings and she was given with a token of appreciation. The conference ended with national anthem.